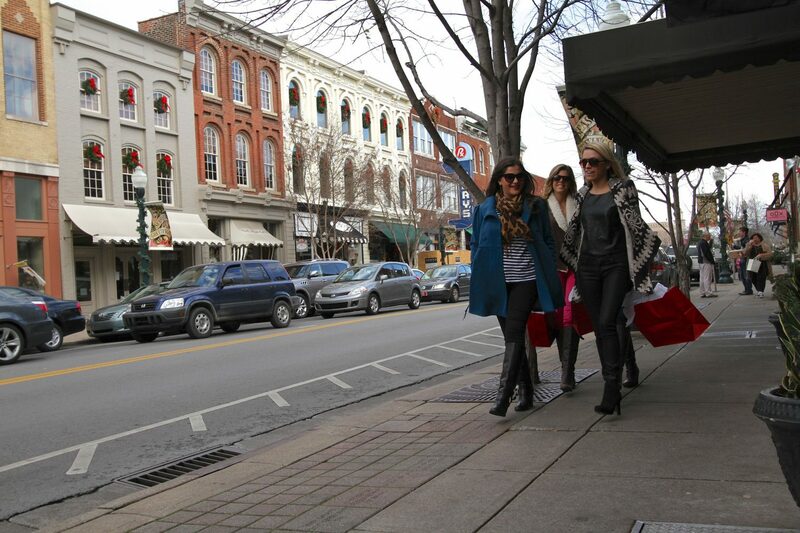 Once again, the Downtown Franklin Association is joining together to support our local merchants on Small Business Saturday on Nov. 26. This national effort, started by American Express in 2010, encourages people across the country to shop small in between Black Friday and Cyber Monday. Anthropologie is having a promotional sale and will provide snacks. Avec Moi will serve mimosas at opening, while supplies lasts. City Farmhouse will hold a holiday sale (everything in the store will be 20 to 40 percent off) and have a drawing for Early Buying tickets to their Holiday Pop-up Fair on Dec. 3 and 4. Finnleys Good Findings will be giving away certain pieces of merchandise for purchases over $100. Franklin Custom Interiors will be having a one day sale, featuring 20 percent off all in-stock items and in-store surprises. Handy Hardware will feature a Franklin Coffee Company tasting of freshly roasted locally sourced coffee, as well as tastings from BrightStone brownie and cookie mixes. They are extending their hours past 2 p.m.
JONDIE and Mimi and Dottie will be offering mimosas and treats for shoppers, as well as gift ideas, personalized styling services and a free gift with $100 or more purchases while supplies lasts. The Lotz House is teaming up with the American Red Cross to commemorate the 152nd anniversary of the Battle of Franklin by hosting a blood drive during Small Business Saturday from 10 a.m. to 3 p.m.
Pieology is giving a complimentary dessert pizza or herb butter sticks to anyone that signs up for the Pie-Life eclub. The Visitor Center will be extending its Black Friday special into Shop Small Saturday– spend $30 and receive a Franklin mug of your choice for free! Choose between a matte black Franklin mug or their Franklin mason jar. Spend $50 or more and receive both for free. Vue Optique will offer a $100 gift card to use toward a prescription pair of eyeglasses or sunglasses (cannot be used with insurance). …and more! Check each shop for more details, as supplies may be limited, and restrictions may apply! See you on Small Business Saturday!